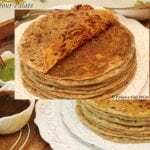 Puran Poli is a very famous sweet flat bread from the state of Maharashtra, located in the western region of India. 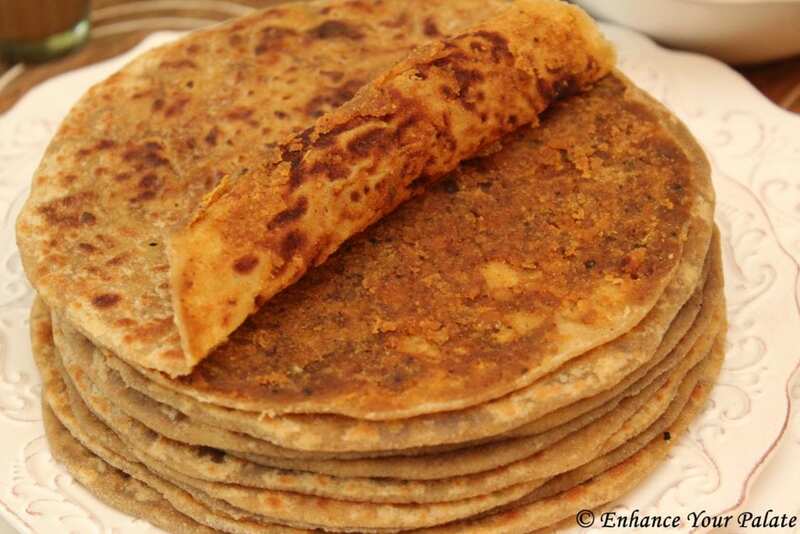 My undergraduate college is also located in Pune, where I tasted this delicacy. It quickly became one of my favorites and I am glad that I was able to re-create the same with further enhancement. 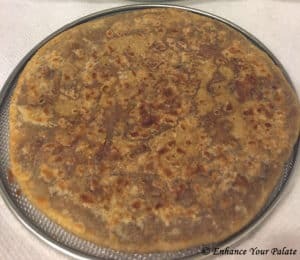 For those not familiar with Puran Poli, it is a wheat based flat bread stuffed with a sweet stuffing made from lentils and jaggery. 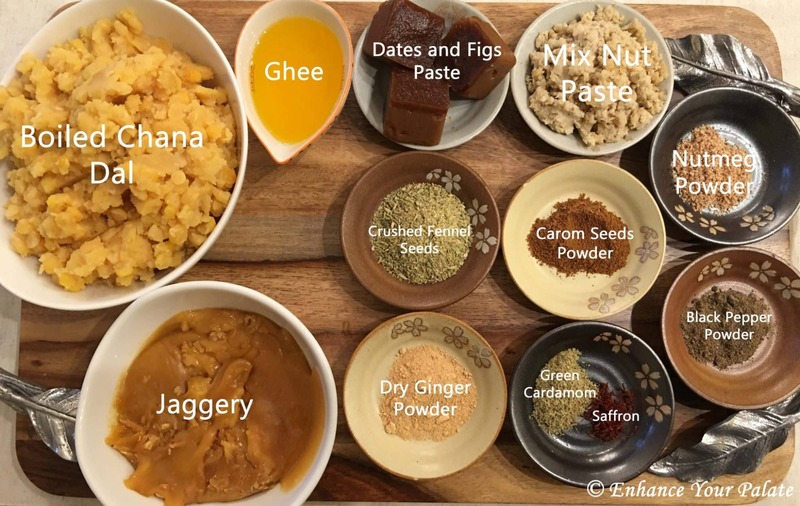 I have made a small effort to enhance this recipe to the next level by adding the mix-nut butter, dates, figs and some spices to add the nutritional benefits and enhance the flavor. These changes to the recipe also reduce the need for added sugar. Mix-nut butter paste is rich in proteins and heart healthy fats, while dates and figs are a good source of iron. 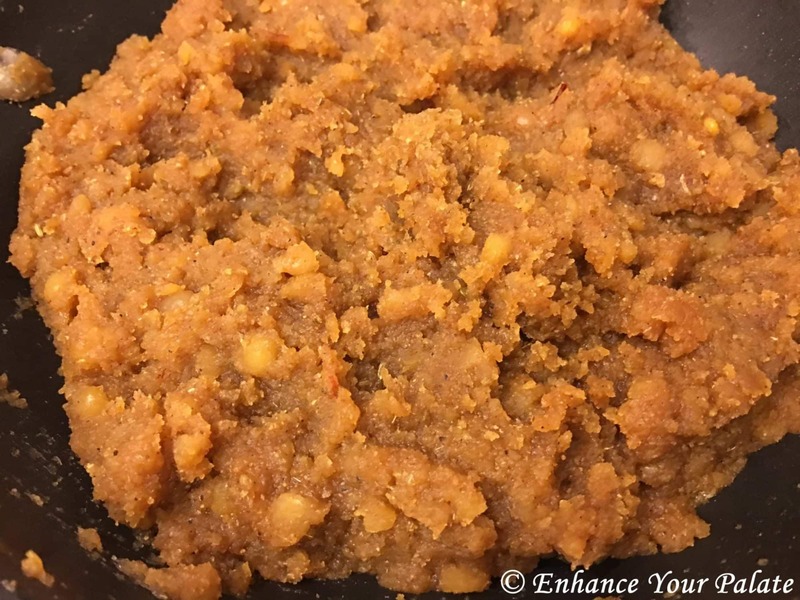 Jaggery is a raw form of sugar cane which is much more healthier form of sweetener then other common options. Added spices promote healthy digestion. 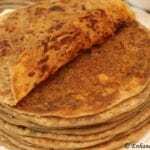 Another modification to conventional recipe is the use of whole wheat flour in place of all-purpose flour. 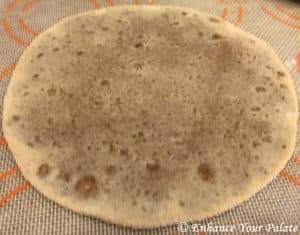 Whole wheat flour is a more nutrient rich flour. 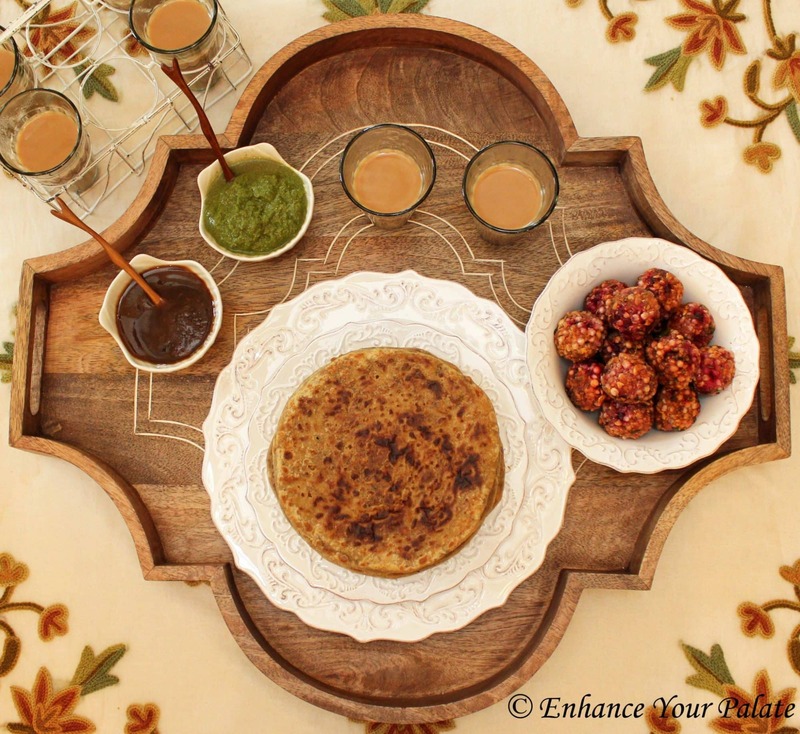 I usually serve puran poli with mint-cilantro and dates-tamarind dip (chutney). For this lazy weekend brunch, I also served it with with another popular delicacy from Maharashtra called Sabudana/Sago Vada (Tapioca Fritters). 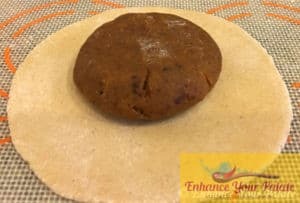 A health & tasty version of tapioca fritter can be found by clicking on the recipe for Low Fat Beetroot Tapioca Fritters (Sabudana/Sago Vada). 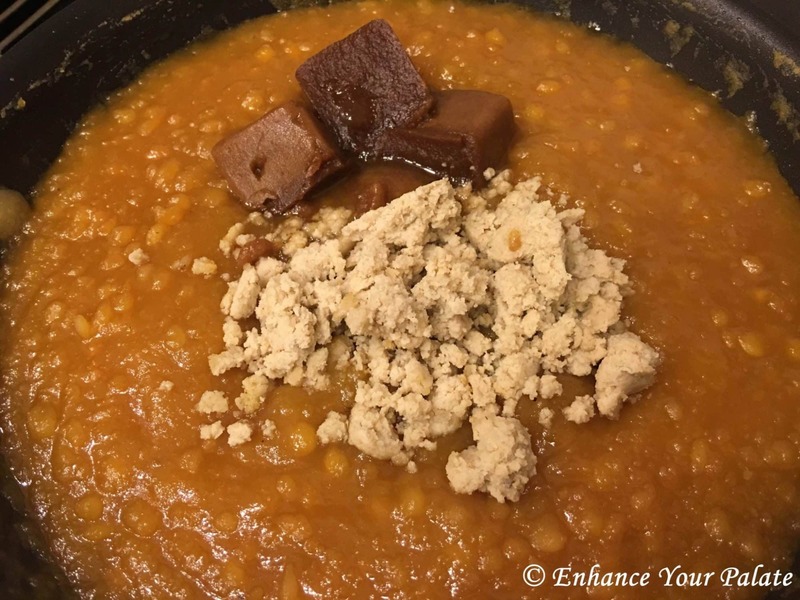 Please click on any of the ingredients above to view the suggested buying options or click the ‘Get Ingredients’ button in the recipe card below to order all items. 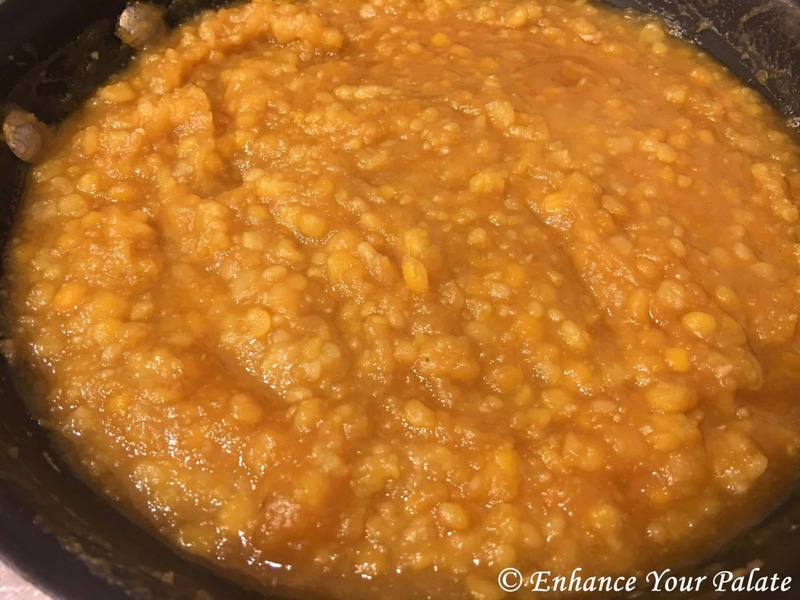 Wash and soak the chana dal for 15-20 minutes and pressure cook in Instant Pot with 2 cups of water for 12 minutes (manual mode). After the time is up let the steam release naturally. 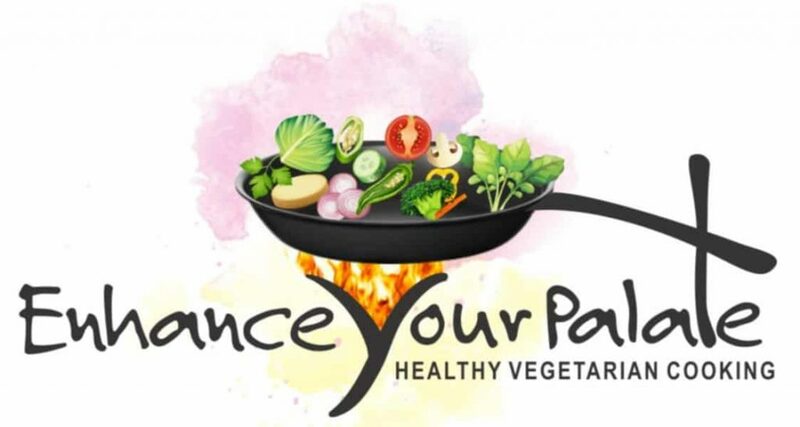 If you don’t have instant pot, you may also cook on stove top in traditional pressure cooker for 15 minutes on medium heat with 2.5 cups of water and then let the pressure release naturally. Meanwhile, take your choice of nuts and seeds (I used cashews, almonds, pistachios, melon seeds and poppy seeds) and make paste in blender. 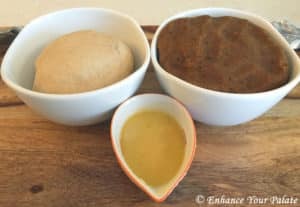 You can also use the mix-nut butter recipe. Soak around dates and figs (5 of each) in hot water for few minutes. Don’t forget to remove the pit from dates. When soft, squeeze the water out and blend in a blender. Keep aside. 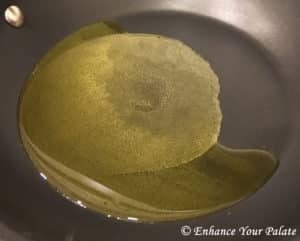 Roast few strands of saffron and powder it in a mortar and pestle and keep aside. 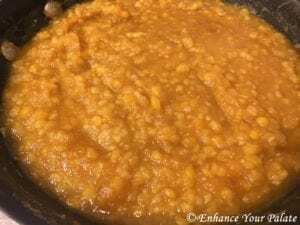 After lentil (dal) is boiled and when ready to make the filing, start with heating oil in a pan. Next add boiled dal and jaggery to it. Stir and let it cook on low heat till it looks like in the picture below. Now add mix nuts paste and dates & figs paste. Stir continuously and while stirring keep mashing the mix from the back of the spoon. 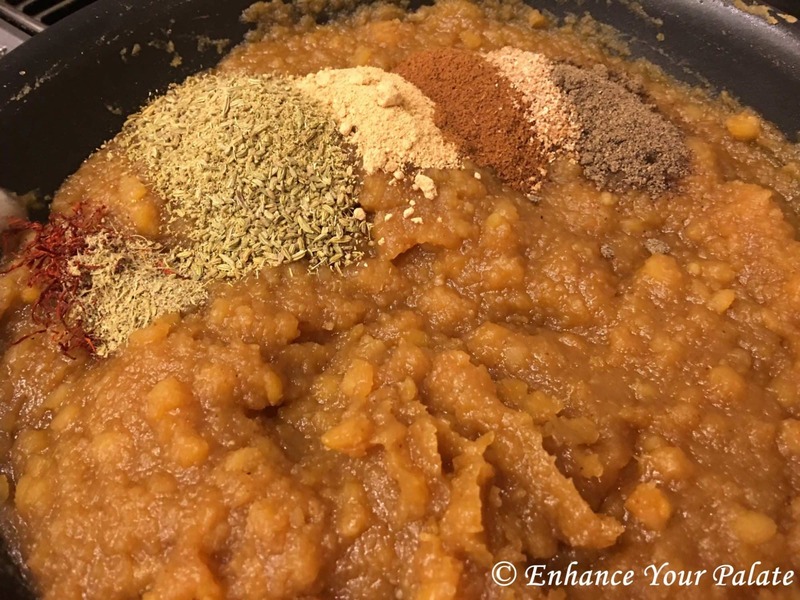 Once the nuts and dates/figs paste is blended in, add all spices mentioned above in the ingredient list. 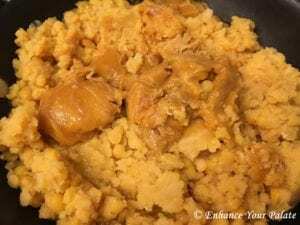 Roast/cook for few minutes until mixture/puran is dry enough to use as filling. 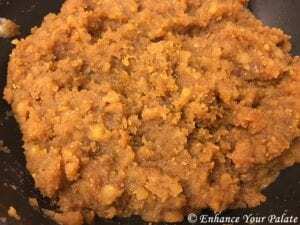 Keep stirring and mashing the mixture/puran from back of the spoon. Potato masher could also be used to mash the filling/puran to make it smooth. When ready keep it aside and let it cool. While mixture/puran cools work on the dough. For dough, take 2 cups of whole wheat flour in a wide bowl and add salt. 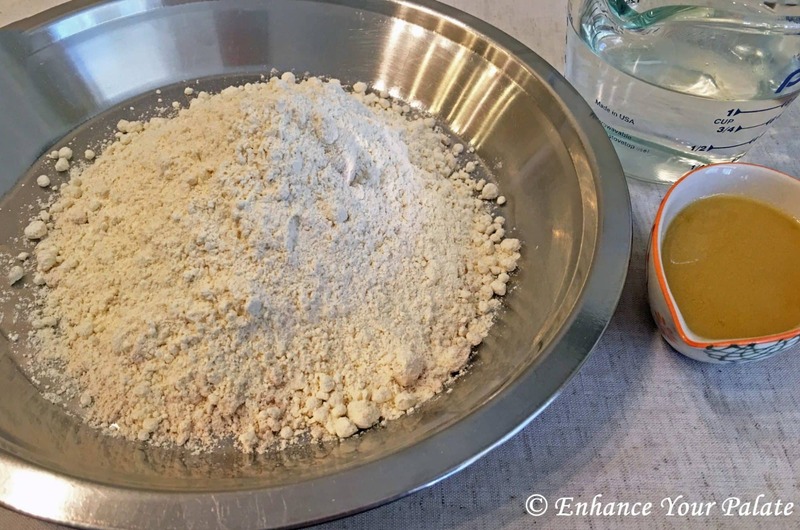 Mix the two and start kneading with water. We need a soft consistency for the dough. Apply 2 tsp of ghee and knead more. 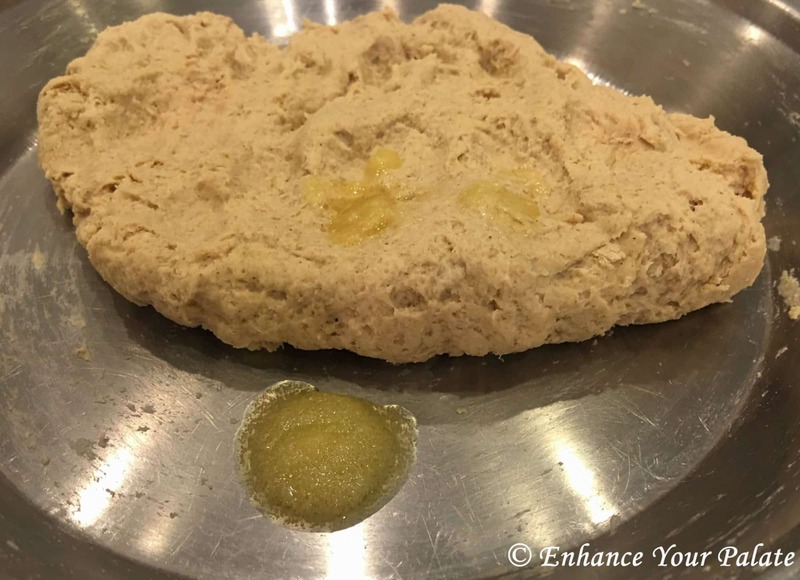 Ghee and more kneading will help in achieving the smooth and soft dough. 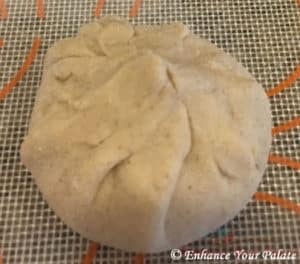 Finally, dough should be soft and smooth, as shown in the picture below. Cover it and let it rest for 15-20 minutes before starting to roll. Now, all elements (dough, filling & ghee) are ready to roll the polis/bread. 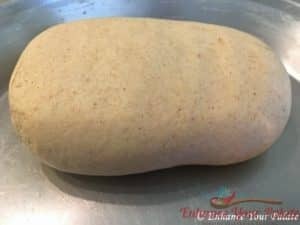 To roll the polis/bread take a lemon size ball of dough and roll in 3-inch circle. 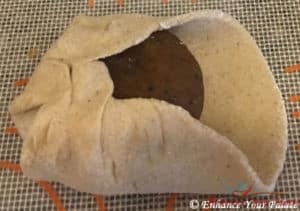 Dust some dry flour on rolling surface to make rolling easy. Take a lemon size puran/mixture and put it on the center of rolled dough. Bring the edges of rolled dough together in the center to cover the mixture/puran completely with dough. 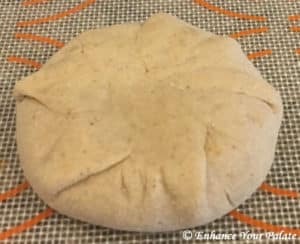 Dust the dough (with filling inside) again with a dry flour and roll it into thin bread/polis. 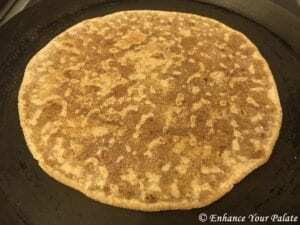 Place the rolled bread/polis on a medium hot tawa/griddle. Flip it when when you start seeing few brown spot on bottom. On medium heat, it should take a minute and then cook from the other side. 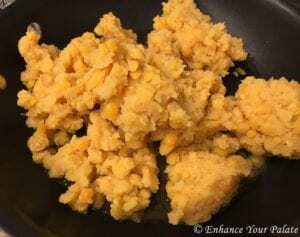 Apply some ghee on top side and flip again. Apply some more ghee on the other side also. 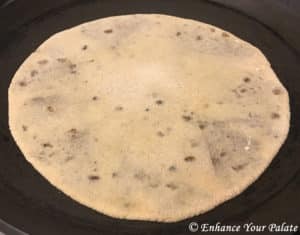 When bread/poli cooked well with brown spots on both sides, remove it from the tawa/griddle and place it on a cooling rack/perforated surface. 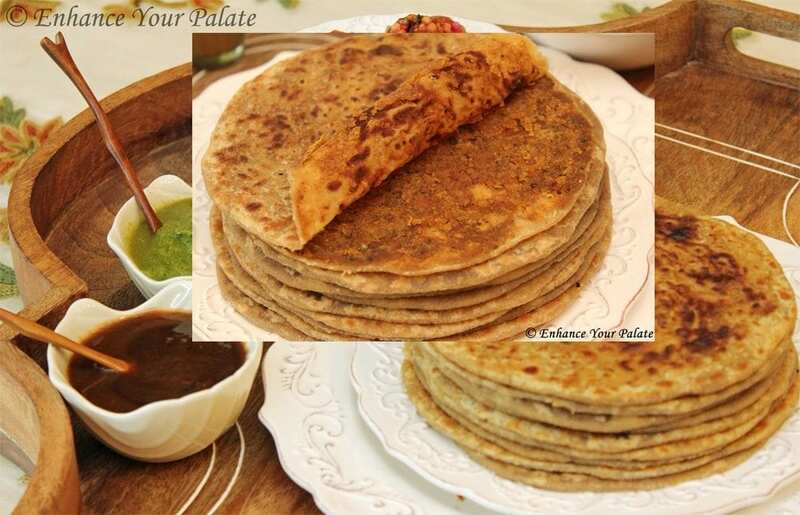 Placing on a cooling rack would help in avoiding the puran poli turning soggy. Repeat the process and stack the cold once on top of each other. If you don’t have any of the equipment used in making the above recipe, please click on the equipment link in ‘Method’ for suggested buying options. 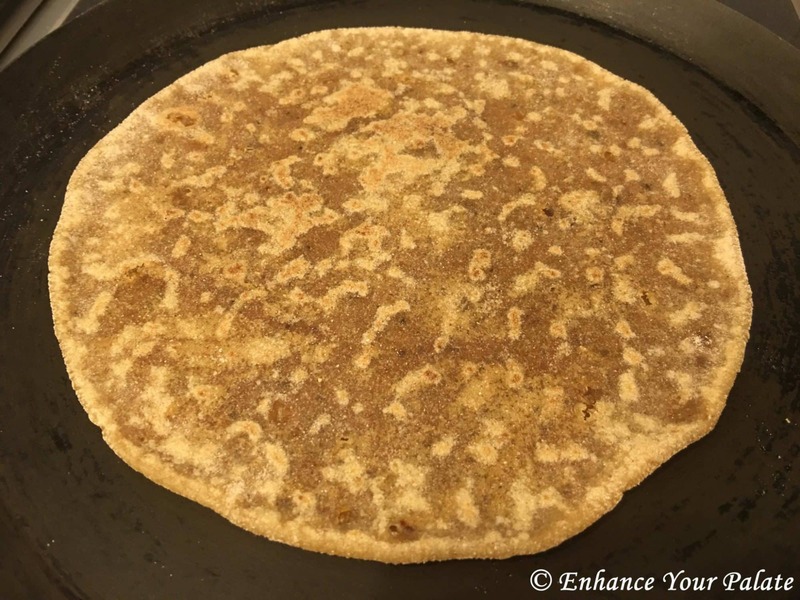 Nutritionally enhanced recipe for Puran Poli, which is a wheat based flat bread stuffed with a sweet stuffing made from lentils and jaggery. 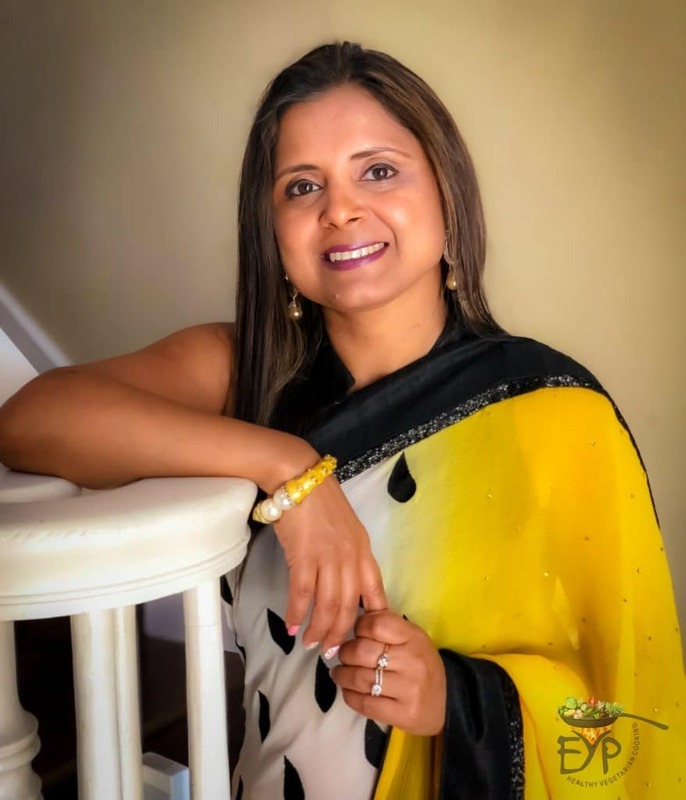 You rock Rupali! 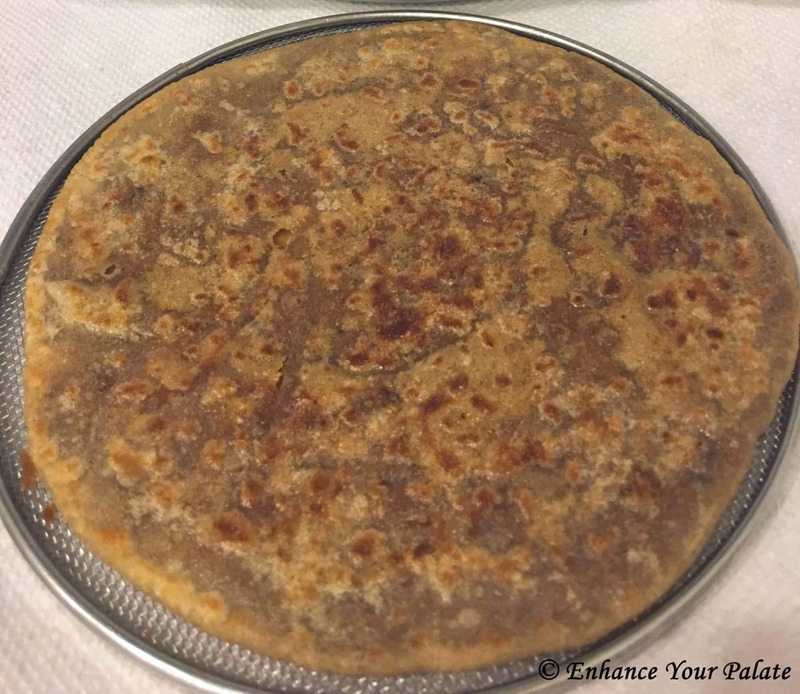 Never in my dream I would have thought of adding so many nutritious things in my puran poli! I am soon going to try your recipe. ?